Controls with pedal and one single lever for vertical log splitters. With the “System-LEADER” controls it's possible to carry out the cutter approach stroke and center the logs while the cutter is in motion with both hands free by using the pedal! Once the log is centered and blocked in the desired position the two control levers are used to split the log. With the “System-LEADER” controls it's possible to carry out the cutter approach stage and center the logs with your hand free (if you use the board you can use the pedal!). 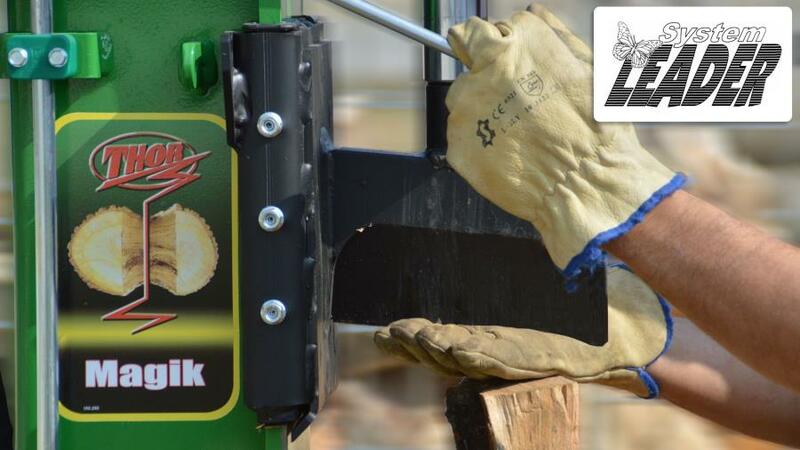 Once the log has been centered and clamped in the desired position , the two control levers are used in order to carry out the splitting operation.